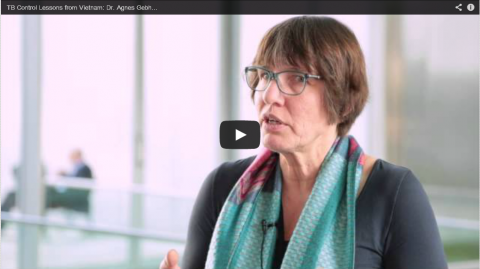 Interview with Agnes Gebhard on Case finding and DOT in Vietnam. During the recent Union World Conference on Lung Health 2014 USAID’s CAP-TB interviewed Agnes Gebhard on “Case finding and DOT in Vietnam”. View video on the CAP-TB website. In the video Dr. Agnes Gebhard, Senior TB advisor, KNCV Tuberculosis Foundation, talks about lessons gained in her MDR-TB projects in Vietnam, the goal of increasing active case finding among difficult-to-reach populations such as migrant, remote, and poor urban groups, as well as how DOT and treatment support can help to increase success.